When I am the bus stop on Queens Road (the last stop before Victoria Park), waiting for the number 44, I often look at the houses on either side of the road. I really like the silly, grandiose house names their builders gave them. It’s quite fun that for the first 20 or 30 years of their life, those houses were often actually known by their names rather than street number. One of these is Stoneleigh, number 51 Queens Road. There is a rather sad story of a family who lived there during the 1890s. Fanny Burdett (c1851-1898) was born in Chichester and shortly afterwards moved with her parents to Marylebone, London. From a young age she worked as a dressmaker. Whilst in London she met Henry Rogers (1848-1920), a young tailor, and they married in 1878. They moved to Leicester before 1881, settling in London Road, and by 1891 lived at Evington Street whilst keeping the London Road premises for the tailoring business – military and livery. They had the usual Victorian brood; seven surviving children; five girls and two boys born between 1879 and 1892. Some time between 1891 and 1895 Henry, Fanny and the children moved to Stoneleigh, number 51 Queens Road Clarendon Park. Despite the relative prosperity of the family – they always kept at least one servant, usually two – and the respectable appearance of the house, the Rogers were in crisis. Fanny was an alcoholic, her behaviour at times “like a maniac” and the children were suffering. Henry tried to protect them, but Fanny had been addicted to drink for many years and he eventually saw no option but to force her to leave the house and children. At some point the family became known to the NSPCC, still in its infancy having been established in 1884, and brought a case to the Borough Police Court in January 1896. An inspector reported that the children had been ill treated, that they were horror-stricken and that there was a danger of the younger children losing their reason. The only answer was for Fanny to be permanently separated from her children. A document, which Henry had already prepared, was produced at court for Fanny to sign. Provision was made for Fanny’s financial support. The Bench agreed that the prosecution did not need to go ahead. Fanny returned to London, where she died just two years later, probably from the effects of her alcoholism. Henry and the seven children (Florence Annie, Gertrude Helen, Harry Burdett, Maud Eveline, Arthur Redfern, Mabel Winifred and Elsie Gwendolyn) remained at Stoneleigh for another few years. Henry’s business grew. He opened a shop at 22 Market Street. Then between 1901 and 1906 the family moved to Bush Close, a house in Springfield Road. Sadly Arthur died in 1907, aged just 17. Henry continued his business with the help of his remaining son Harry, before dying in 1920. He left over £14,000, a good sum of money. This week’s local history purchase was the 1960 Kelly’s Directory of Leicester, which was published at the tail end of the publishing history of the trade/street directory. The binding is still the familiar red, gold and black with advertising on every possible surface, and it’s still a weighty tome – but Kelly’s and its rivals faced competition from telephone directories and by 1960 its days were numbered. It’s still a fascinating read for those of us so inclined, and I have enjoyed making comparisons between Clarendon Park in 1960 and 1912. Although Queens Road is the obvious choice, for comparing the shops and businesses of the past and present, I find the lesser shopping streets more interesting. I started with Clarendon Park Road, which several older residents of Clarendon Park Road have told me used to be full of useful little shops. I took a notebook on a walk down Clarendon Park Road and noted the current shops and businesses. I added these in italics to the list below of 1960 shops and businesses. What is interesting is how many broadly similar or even the same businesses there are trading at quite a few of the premises – such as a branch of the Belgrave Laundry Co at number 107, which is now Bliss dry cleaners, or the bicycle dealer John E Chamberlain at 214-6 (now Julies Cycles). Some businesses have moved to different premises, such as Spiers Pharmacy, which in its earlier incarnation was at the premises now occupied by Hot Ice Printing. There are also a lot of changes. There aren’t any greengrocers on Clarendon Park these days, more’s the pity – but we do have a few take aways and a running shop (which I suspect would have been utterly baffling to the Clarendon Park residents of 1960!). 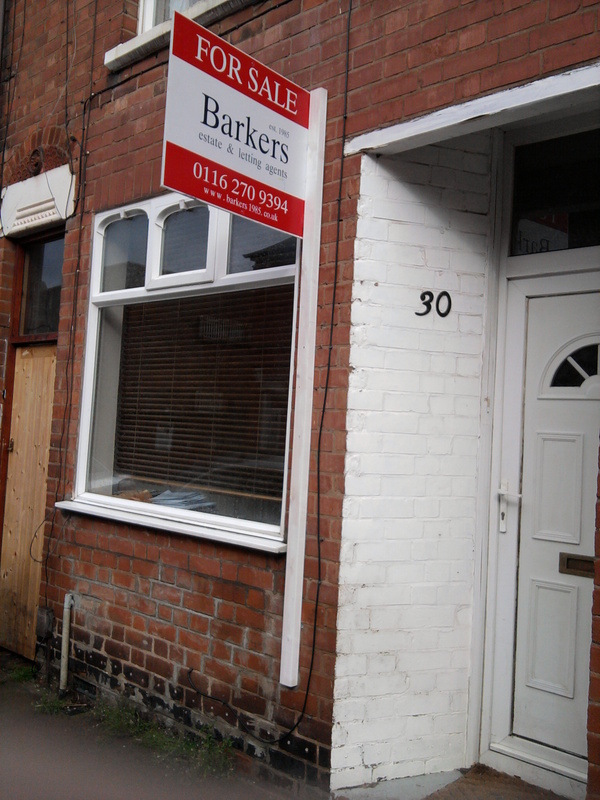 I was surprised at how many shops and businesses there still are on Clarendon Park Road. I had expected the number to have dropped considerably. There are some former shops that have been rather insensitively converted to houses, and some attractive shop fronts that have been badly modernised (the former Tango tanning shop at 179 and 181 for example. Grey double glazing is never a good look, chaps). But on the whole we are very lucky in still retaining much of the Victorian character of the shops and houses on Clarendon Park Road. Let’s keep it that way. * Disclaimer: Many of the shops and businesses on Clarendon Park Road don’t have visible street numbers, so there may be some small errors (please feel free to point them out to me!). I was just having a quick look at the Leicester Chronicle and Leicestershire Mercury, in the hope of finding out something interesting that happened in Clarendon Park ‘on this day in history.’ I came across a little of snippet of information about how Clarendon Park was built – not like today’s estates, where one developer purchases a piece of land and erects a planned number of houses, all of which are virtually identical and ready to move into within a short space of time. No, back in the 19th century areas like Clarendon Park were usually developed by a number of builders, and streets would be developed here and there, often with long gaps between the building of houses at one end and another, and sometimes in between if a builder purchased land but did not have enough money to start work. On 18th May 1886 a sale was held at the Bull’s Head Hotel, Market Place, of land in Clarendon Park Road, facing Oxford Road, Cross Road and St Leonards Road, in parcels varying from 300 to 1000 square yards and at a cost of between 10 shillings and 10 shillings 4 pence per square yard. Also 510 yards at the corner of Montague Road and Oxford Road. There was a large attendance at the sale. When I walk home later I will have a look at those extremely useful date plaques above so many of the houses in Montague and Oxford Roads, to see whether there was an immediate rush to build houses there, or whether things took time to develop…don’t be surprised if I post again later with some slightly watery photographs to show you. Regards, Elizabeth. Whilst I was researching Leonard Norman and his photography/picture framing business at 28-30 Montague Road in the 1890s and possibly later at 51 Montague Road, I came across another small story about a former occupant of number 51. It comes again from the Leicester Chronicle, this time the 5th May 1894 (so as Leonard was just settling in to 28 Montague Road). Harriet Wills was fined ten shillings for being drunk and disorderly in Montague Road the previous Saturday night. And she a married woman in her fifties too! That can’t have been much fun to live down with the neighbours, most of whom were no doubt very respectable. Clarendon Park did have a reputation as a drunken place. There is a fantastic cartoon displayed at the Abbey Pumping Station museum called ‘Last Tram Back to Clarendon Park’ or something very similar, depicting a tram overflowing with drunken, dazed or fighting people. I wonder if the last 44a has the same reputation today? Regards, Elizabeth. Sometimes I come across something on Ebay that really excites me. Just a couple of weeks ago I spent the best part of thirty quid on a collection of 66 cartes de visite and cabinet cards barely held together by a falling apart album of very questionable taste – just to get hold of a single image that definitely isn’t worth £30. 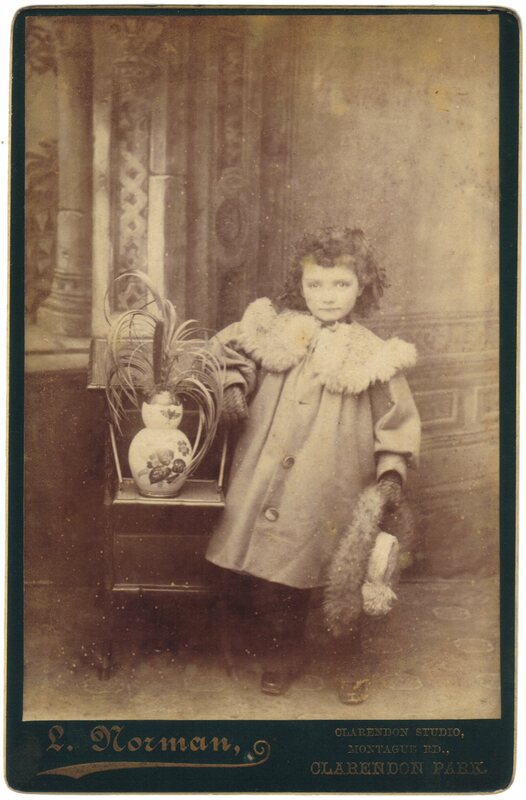 But I didn’t care, firstly because the collection belonged to a Leicester family whose tree I have been growing from the tiny acorn of a single named and dated photograph, and secondly because the cabinet card I wanted is perfect. Here is all about it. The photographer is L. Norman of Clarendon Studio, Montague Road, Clarendon Park. The card stock (dark green), the gold bevelled edge, the studio name in gold all point to a picture taken during the early 1890s. The image is of a little girl in an outfit that almost certainly isn’t hers, and it’s not a very good image either – too much light in the top right hand corner and the little girl’s black- stockinged legs disappear in the gloom behind her. However that really awful vase and feather are beautifully clear. The 1901 census described him as “shopkeeper and picture framer.” Picture framing and photography often went together at this time, for obvious reasons. Leonard’s last directory entry was in 1912, but by this time he had already returned to his previous work as a shoe clicker so either the entry was out of date or Leonard was only working as a framer in his spare time. I wonder how seriously Leonard took the photography side of his business, and how successful it was. Clearly not all that successful – I feel quite sorry for him. I am fairly confident that I will be able to find out the name of the little girl in the picture, as long as she was related to the Hughes family of Thornton Lane, Leicester, whence my album originated – and I think she must have been. So you can see why I was so excited to get hold of that tatty album. Regards, Elizabeth. I recently read a sad article from the Leicester Chronicle which demonstrates how life has changed over the past 100 years . George Scott Grainger aged 51 was admitted, unconscious, to the Leicester Royal Infirmary around 6.15pm on Monday 30 September 1890. He later having never regained consciousness. 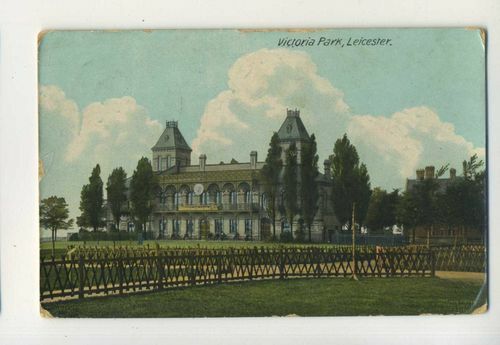 George, who was a gardener working at Victoria Park and then living at 17 Oxford Road, Clarendon Park, had obtained some Corporation Diarrhoea Mixture from the Town Hall (people provided their own bottles) earlier that day. However the mixture contained in the bottle George was holding when his wife found him contained tincture of opium, not Victorian Immodium. At the inquest Jane Grainger, said that on the morning of his death she left before George to go to work and he was not then complaining of diarrhoea. At 2.30pm she was in Victoria Park and could not see her husband so she asked his colleague James Norwell where he was. Norwell told her he had obtained medicine, so she “knew he must be very ill as he strongly disliked medicine.” Jane went to look for George and found him lying in a field on Evington Lane, with the bottle in his hand. He complained of diarrhoea. He said he had consumed the entire contents of the bottle and felt quite well, and wanted to stay where he was as he was comfortable, but was moved in Dr Greasley’s carriage to the Highfields Hotel and afterwards to the LRI where he died. A couple of things struck me about Jane’s story. Firstly, it was very odd indeed that George’s own bottle should have contained opium, as the Town Hall folk must have dispensed quite a lot of diarrhoea mixture and it would soon have been obvious if their stock had replaced or contaminated with tincture of opium. So perhaps George found that diarrhoea mixture was not efficacious and bought his own cure – opium – instead (opium was used in some diarrhoea preparations). Secondly, when Jane found that her husband was not at work as expected, she naturally went to look for him. But in a field in Evington Lane? Perhaps all is not exactly as Jane described. Perhaps she was used to finding him lying intoxicated in a field and knew where to look for him. It’s a good job the powers that be started to tighten the regulation of opium, making it harder for people to accidentally poison themselves, even if it sounds like George had quite a peaceful ending. 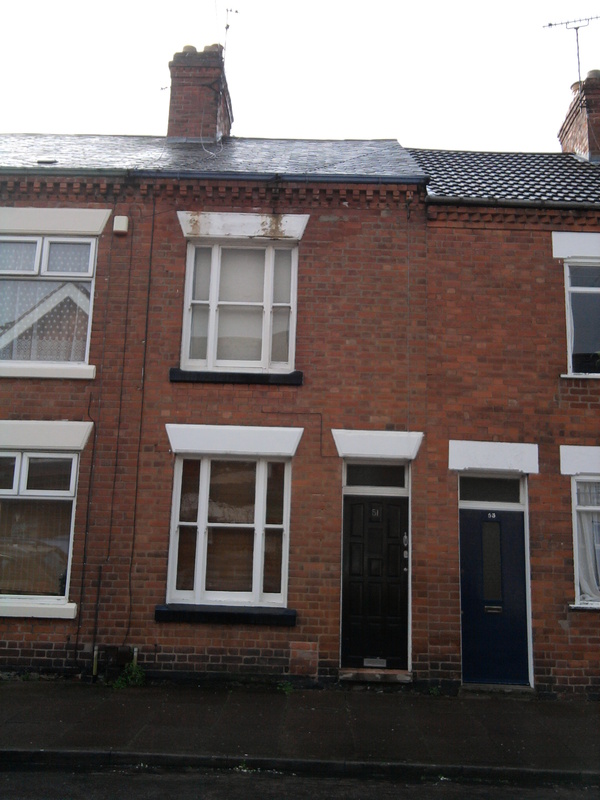 Jane had moved from 17 Oxford Rd by the time of the census in April 1891. So many people seemed to have passed in and out of Clarendon Park without leaving much trace. 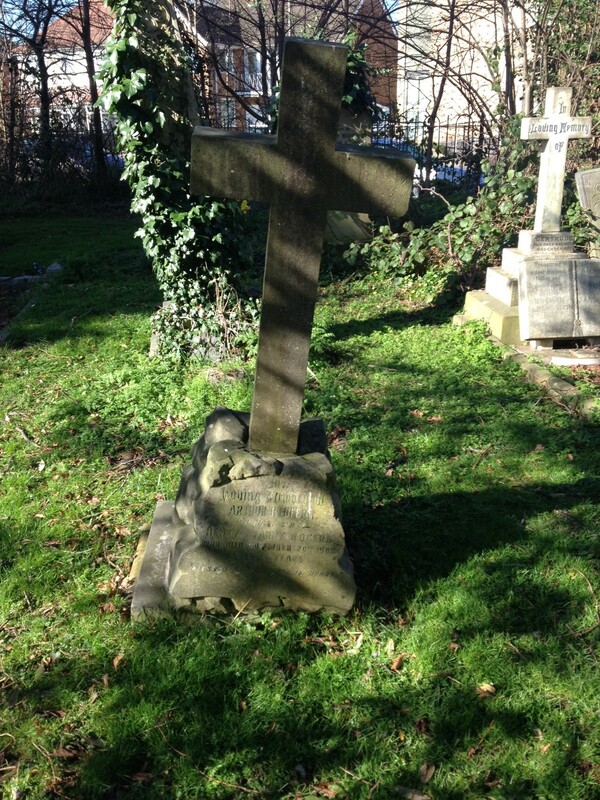 Poor George – in both senses – was buried in a common grave without a headstone at Welford Road cemetery and his wife never joined him. Lieut.-Colonel Sir Fleetwood Edwards is commanded to acknowledge the receipt of Mr. Edward G. Hanham’s letter of the 5th ulto., and, in reply, to say that the Queen is very much gratified to learn that Mr. Hanham has five sons at present in the Service, and Sir Fleetwood Edwards is further commanded to forward to Mr. Hanham the enclosed Post Office Order for three pounds from the Queen as a mark of her Majesty’s appreciation of this interesting fact, with the hope that it may be of some temporary assistance. Clever Mr Hanham, spending ha’penny on a stamp to write to the Queen, and getting a postal order for three quid in return! Edmund George Hanham (c1849 -1925) married Mary Ann Dawkes (1850 – 1934) in 1874 and together they had at least ten children. Edmund was a sergeant in the Staffordshire militia, so it makes sense that so many of his children chose a military life. 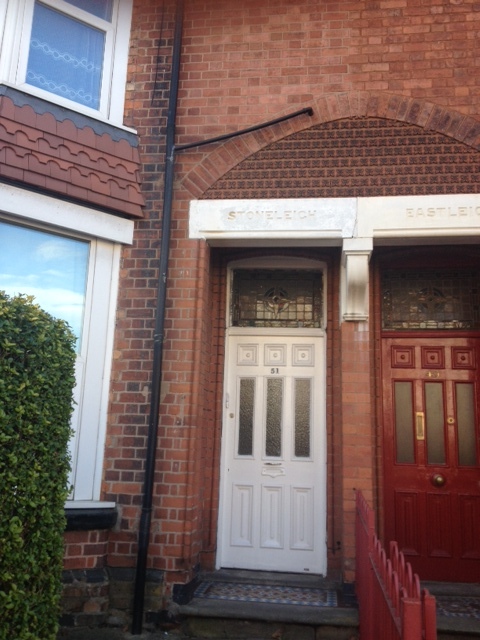 On his retirement, the family moved to Edward Road in Clarendon Park, where Edmund set up as a boot and shoe maker. Edmund George junior was a Sergeant Doctor in the South Staffordshire Regiment. He died in January 1901 at Winburg, during the second Boer War of 1899-1902 and just a few days after the article in the Chronicle. How awful for his father, to be recognised by the Queen one month and then the next, to lose one of his sons. Hedley Thomas joined the 5th Duke of Wellington Regiment and later the Kings Own Yorkshire Light Infantry. He was demobilised and became a warehouseman in Huddersfield. In 1914 he again enlisted, rejoining the Duke of Wellingtons. He returned to Huddersfield and died in 1962. Christie joined the 5th Dragoon Guards in 1902. he was wounded in South Africa in 1903 and again in 1904. In 1905 he requested permission to emigrate to Canada – can’t say I blame him – but was refused. He spent a few years in the Reserves before re-enlisting, then staying in the service until 1915. His record states that he had a tattoo of a flower and two dots on his right forearm! He never did make it to Canada: He died in Leicester in 1946. 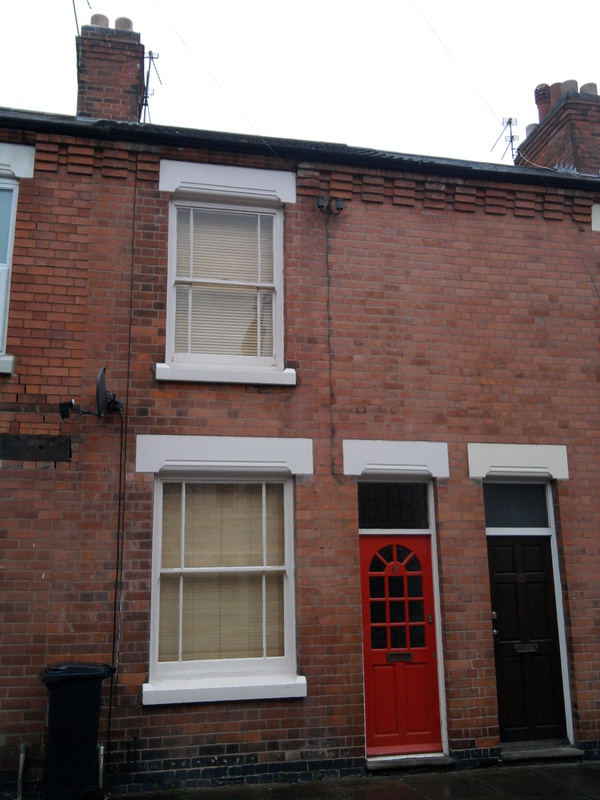 The Hanhams didn’t stay in Clarendon Park for very long and were living elsewhere in Leicester by 1911. I don’t suppose they made much of an impact on the area but the letter from Her Majesty must have stirred a lot of interest at the time. Small stories, but interesting nevertheless. Regards, Elizabeth.